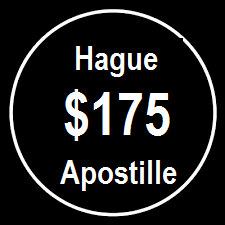 Starting September 18, 2017 Guatemala will be accepting Hague apostilles. 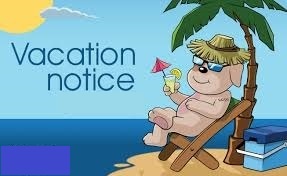 Related search terms: "new york apostille for guatemala", "document legalization for guatemala", "documents for guatemala", "how to legalize a document for guatemala"
If you need to get a New York apostille for use in Russia for a personal or a corporate document originating from the State of New York, we will be happy to assist you! 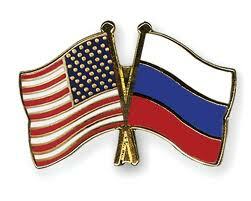 Both the U.S. and Russia signed the Hague Apostille Convention, therefore all U.S. documents bearing Hague apostille stamps will be legal and valid in Russia. Your notarized document (e.g. a power of attorney, an affidavit, etc.) can be in Russian. However, the notarial statement must be in English. Related search terms: "new york apostille for russia" "apostille legalization for russia", "new york birth certificate with apostille", "new york marriage certificate with apostille", "how to get an apostille in new york", "how to get an apostille for russia"
According to the Hague Apostille Convention brochure, an Apostille can be placed directly on the document itself (as a stamp) or on a separate attached page (called an allonge). Apostilles may be affixed by various means, including rubber stamps, self-adhesive stickers, impressed seals, etc. If an Apostille is placed on a separate page, this page can be attached to the underlying document by a variety of means, including glue, grommets, staples, ribbons, wax seals, etc. All of these means are acceptable under the Convention. 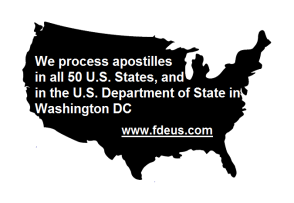 Failure to affix an Apostille in a particular manner is not a basis for refusing the Apostille. The State of New York uses metal grommets to attach apostilles to documents. A grommet can be placed in the upper left corner or in the upper right corner of an apostille. There is no other means to attach apostilles to documents. Your document cannot be rejected because foreign authorities expect an apostille to look different or to be attached to a document in a different manner, e.g. to be ribboned or glued to the document. 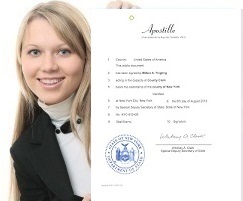 Related search terms: "new york apostille", "apostille legalization", "what is apostille", "how to get an apostille in new york", "apostille grommet", "apostille ribbon"
Documents, such as vital records (birth, marriage, death certificates), divorce judgments, powers of attorney, notarized affidavits, etc. frequently need to be used abroad. However, the documents are not acceptable in foreign countries if they do not have certain seals an stamps. Before a document can be used in a foreign country, it must be authenticated. The procedure authenticating documents to be used abroad is called "legalisation" or "attestation". In the past the process involved officials of the country where the document was issued as well as the foreign Embassy or Consulate of the country where the document is to be used. Because of the number of authorities involved, the legalisation process is frequently slow, cumbersome and costly. Related search terms: "new york apostille", "apostille legalization", "what is apostille", "how to get an apostille in new york", "is apostille required"
Step 1: First, John needs to make sure his document qualifies for the legalization. Step 2: Then, John needs to find out if he needs an apostille or embassy legalization. As Italy joined the Apostille Hague Convention, he will need a Hague apostille. 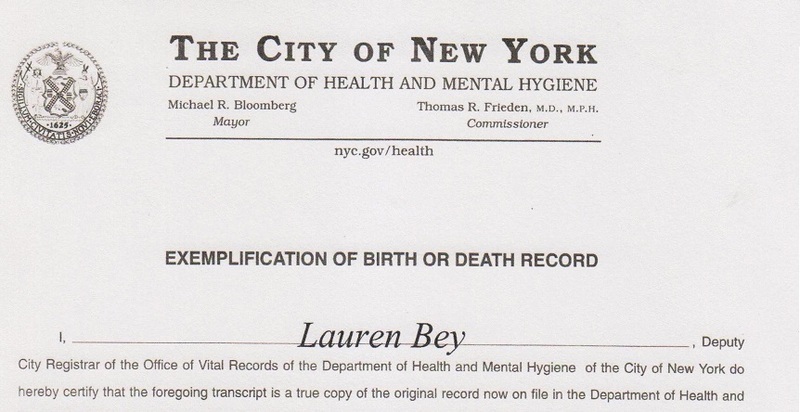 Step 4: Finally, the document needs to be apostilled by the Office of New York Secretary of State. 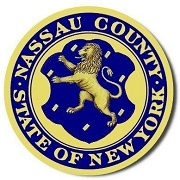 Related search terms: "new york apostille for death certificate", "apostille legalization for death certificate", "new york death certificate with apostille", "nassau apostille"
Step 1: Make a copy of the bylaws. Step 2: Prepare an affidavit signed by a corporate officer (president, vice-president, secretary of the company, etc), and his/her signature has to be notarized. Free sample affidavit follows. Related search terms: "new york apostille for company documents", "apostille for bylaws", "new york company bylaws with apostille"